Looking forward to the newest Jennifer Herrema collaboration with Volcom Brand Jeans. Especially the striped bootleg jeans and matching varsity jacket!! P.S. -all of these pieces are made in the USA! Isn't it just crazy what we women have done to ourselves in the name of beauty?? This photo was taken of a Chinese woman in 1865. My dad has always had a way of turning "junk" into something insanely awesome. He is a collector of such "junk" and hopes that he'll revive/repurpose each and every object with time. (I actually set up my jewelry studio space amongst said junk, which makes me feel right at home when my studio gets over-cluttered.) So when he was invited to contribute to the Shelburne Museum's show titled "Time Machines: Robots, Rockets and Steam Punk" he immediately started brainstorming. The best part is, he already had all of this amazing stuff just waiting to be put to use! 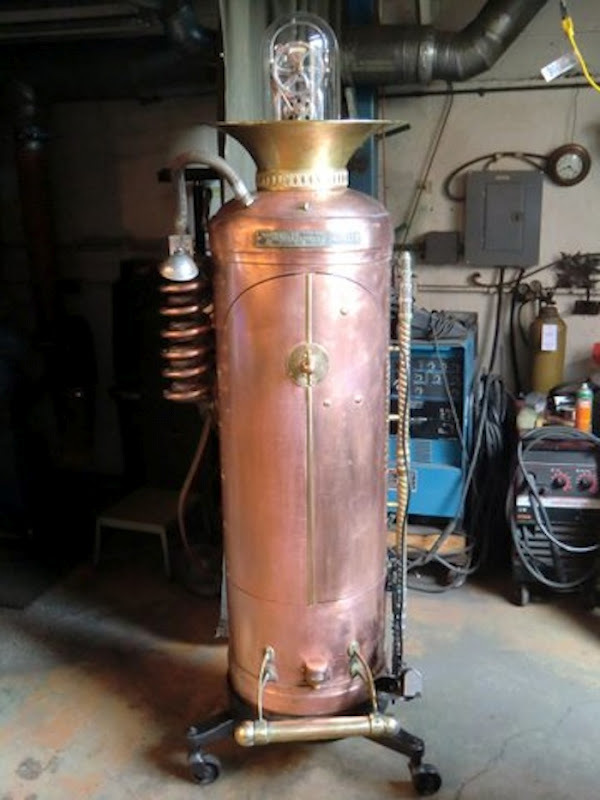 Steve Conant: "After being invited to participate in the Steam Punk Show I poked around the shop looking for props. A 100 lb copper tank fits the bill. And I just happened to have a cast iron 3-wheeled dolly that fits it perfectly! After cutting doors our of the side wall I'm thinking; curio cabinet? Stereo closet? And then, wahoo, it hits me - a "time machine"! I add a leather seat, 19th century clock works, an electronic metronome (circa 1950), a strobe light, a motion switch to activate it all (behind the foot rail) an electric reostat on a scissor bracket (gas peddle), a period Edison style carbon filament bulb, a big knife switch, headphones, yellow goggles, a bunch of old gages, some brass grillwork, a heater coil, a coffin grab bar, sousaphone bell. 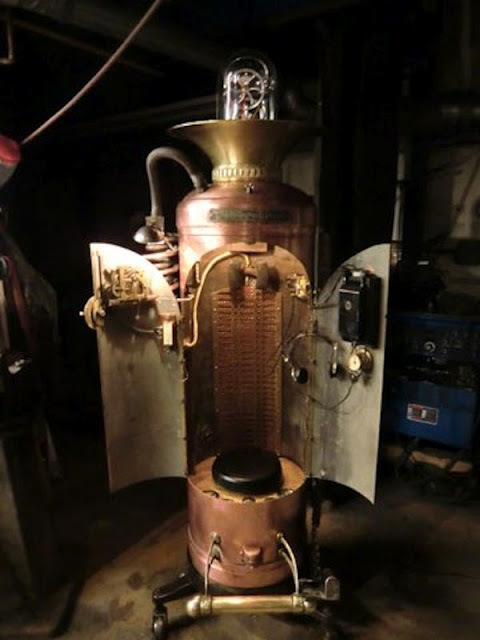 . . and top it off with a 1930s surgical aspiration machine. What fun! And it actually transported me back to the creative, fun loving days of my youth!" I LOVE this girl's scarf-as-shirt (and those trousers!!). Just tie two ends around your neck and tuck in the rest. genius. 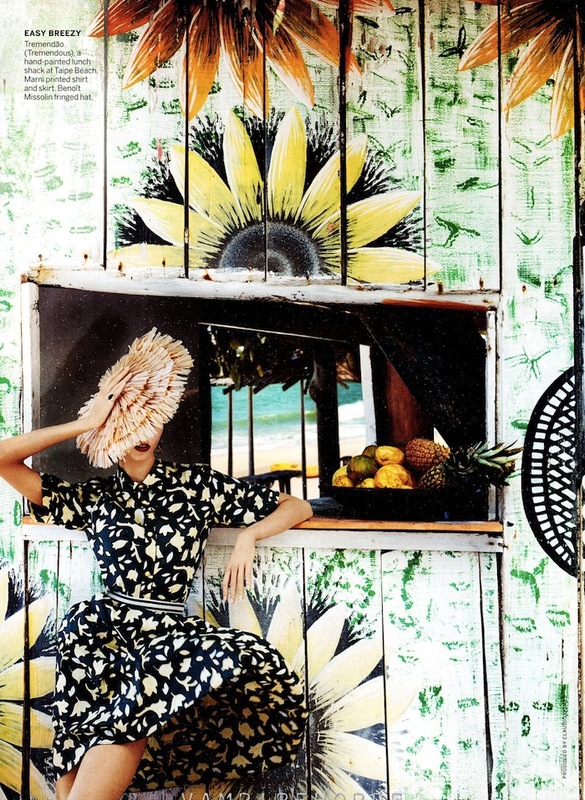 In LOVE with this beachy editorial from Marie Claire Spain. 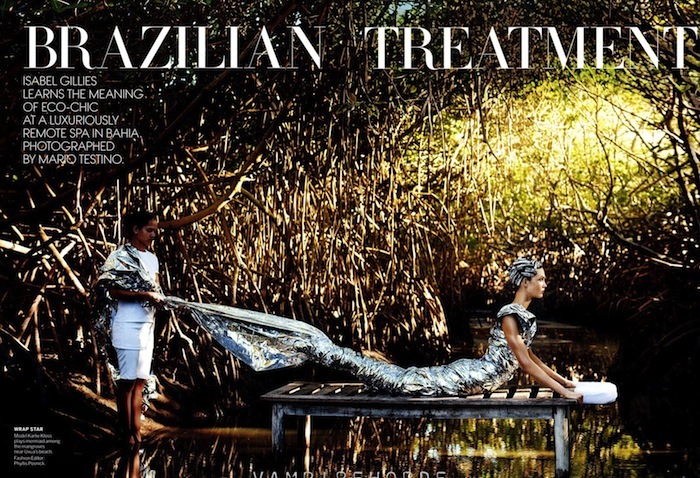 Model Leah de Wavrin and photographer Elina Kechicheva absolutely killed it. "IT'S PROBABLY THE THING I DO BEST"
One of my favorite intros to The Office. poor poor kevin. . . .
Just when I didn't think I could love Ryan Gosling any more my sister goes and posts this to my Facebook wall. . . This video was taken at a 1991 Morman talent show (before his Disney days). These kids can DANCE! 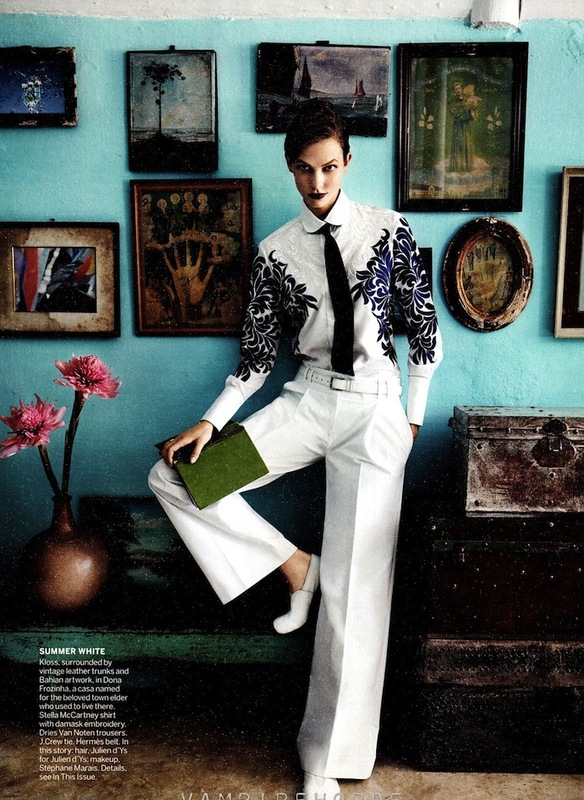 Karlie Kloss's editorial (shot by Mario Testino for July's US Vogue) is a bit disjointed but I'm totally obsessed with this first look so it's ok. I'd also love a pair of those Marni sailor pants in the second image.